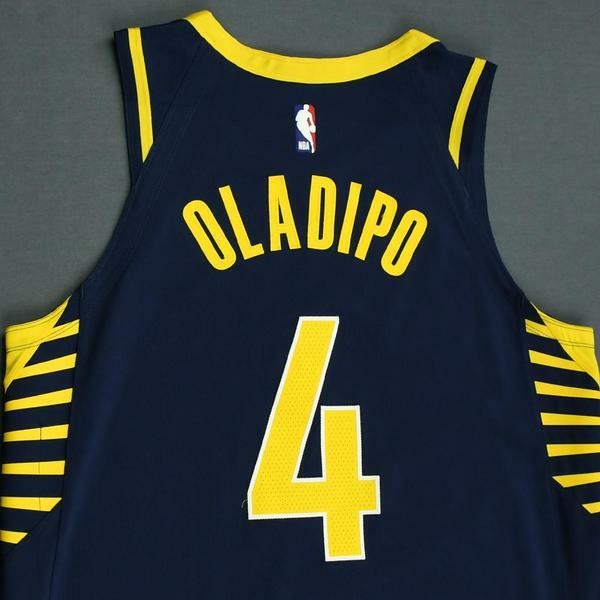 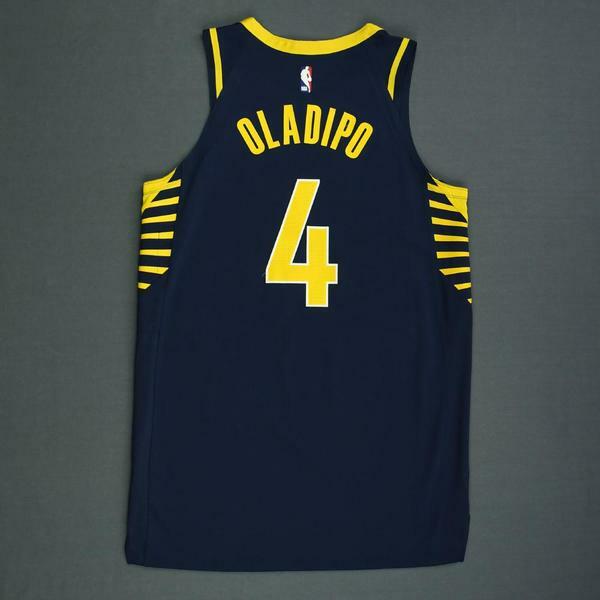 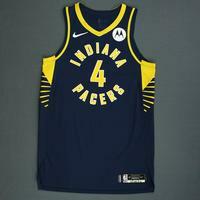 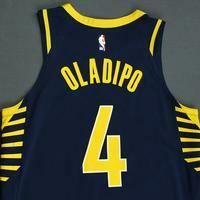 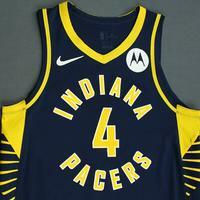 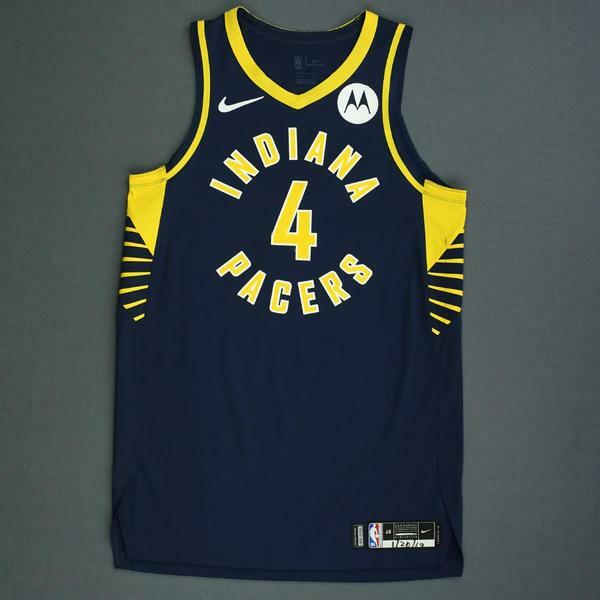 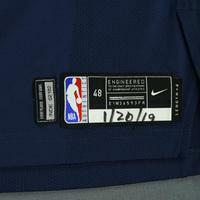 Oladipo wore this jersey during the Pacers' 120-95 victory over the Charlotte Hornets on January 20, 2019 at Bankers Life Fieldhouse in Indianapolis, IN. 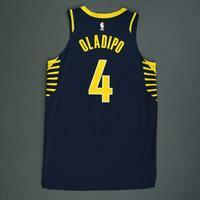 He played 32 minutes and registered 21 minutes with 7 assists, 2 rebounds and 3 steals. 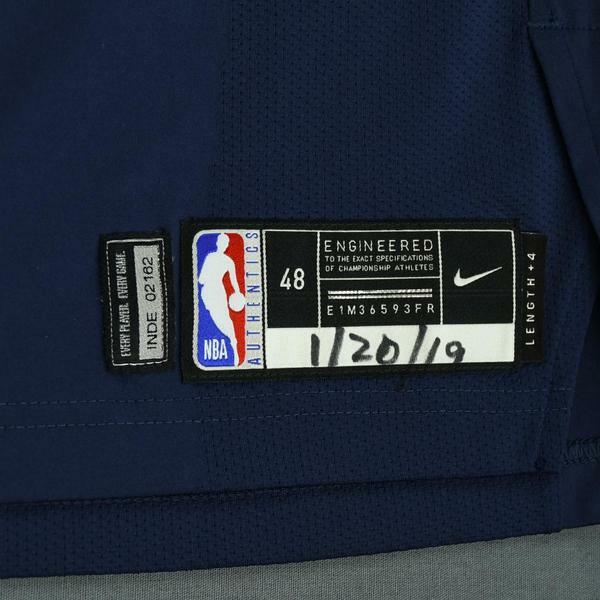 "1/20/19" is handwritten on the jock tag.